Much has already been written about Sonic Crackers, so it is not my intention to recycle the same material in this article. 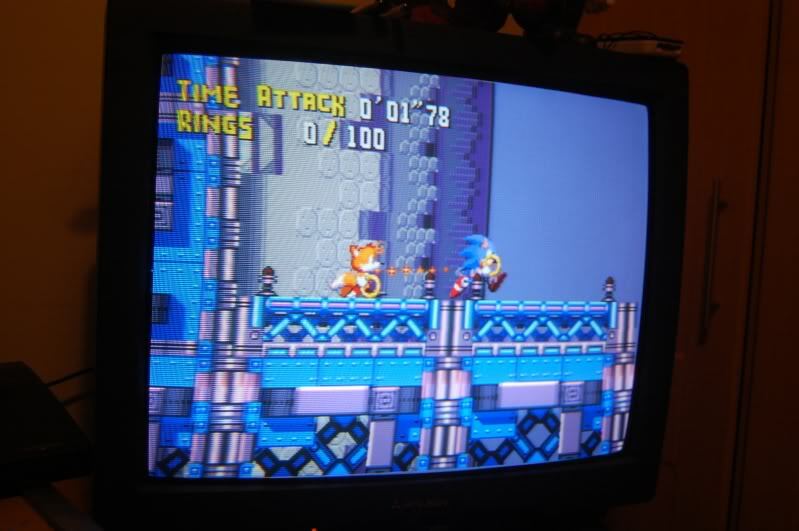 Thanks to the diligent work by the Sonic fan community, it is now well known that the SEGA Genesis prototype is not an impossibly complex homebrew project or a cheeky April Fools’ Day joke, but rather an official SEGA engine test of what would later become Knuckles’ Chaotix for the SEGA 32X (link). There is plenty of evidence to back up that claim. It is surprising, however, that with so much information on the Internet about Sonic Crackers that no one has ever named names, tracked down the original source, and unearthed the truth behind how an unreleased first-party Sonic title was leaked to the public in the first place, or why some 15 or so copies of said game reside in private collections all around the world. I hope that the following investigation will help reveal some answers. My Sonic Crackers story began in 2010 when a copy came up for sale on eBay’s Belgian site. Although I was the highest bidder, the auction had a reserve, and in the end, it was not met. One year later, the same seller sent me a message to inform me that he was selling the game again. I bid and won this time. Sonic Crackers was finally mine. I am always curious about how prototypes leak out, so I decided to ask the seller. “I got this proto from an employee who worked at SEGA UK in 1995,” he replied. When I asked a follow-up question about how I could contact this SEGA UK employee, he stopped responding. I figured that the only way to find the original source would be to do some detective work of my own and retrace the provenance of one of the other known copies. But where to begin? My research led me to a thread on boards.ie, an Irish social message board. A collector named Oisin McGovern, who lives in Dublin, had a copy of the game that looked strikingly similar to mine. 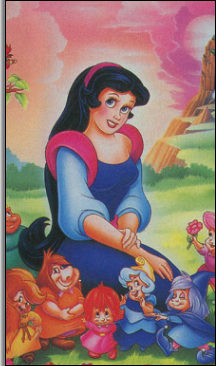 The resemblance was uncanny. 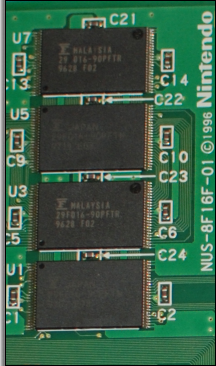 His had the same silk-screening on an official 171-5694-01 (8MEGA 4EP-ROM M5) SEGA development board, the same components, even the same EPROM chip stickers applied in almost the exact same fashion. Surely, both of these games must have come from the same source. Now it was only a matter of finding out that person’s identity. After some more digging, I discovered that Oisin had purchased his Sonic Crackers from another collector named Rob Ivy of Montgomery, Alabama. I then contacted Rob to learn how he had happened to come across the game. This serious Atari prototype collector wound up being a game store owner named Dan Mowczan of Flint, Michigan. “It was put into a MegaDrive cartridge for safe keeping,” he added. I asked if the New Jersey store might have been the one located in Clifton called Digital Press. Dan did, however, correct the Belgian seller by stating that the unknown individual was an ex-employee of SEGA of America, not SEGA UK. So I now knew that the person I was looking for worked at SEGA of America, had some connection to the East Coast, and collected Atari games. It was not much to work with, but I was determined to carry on. 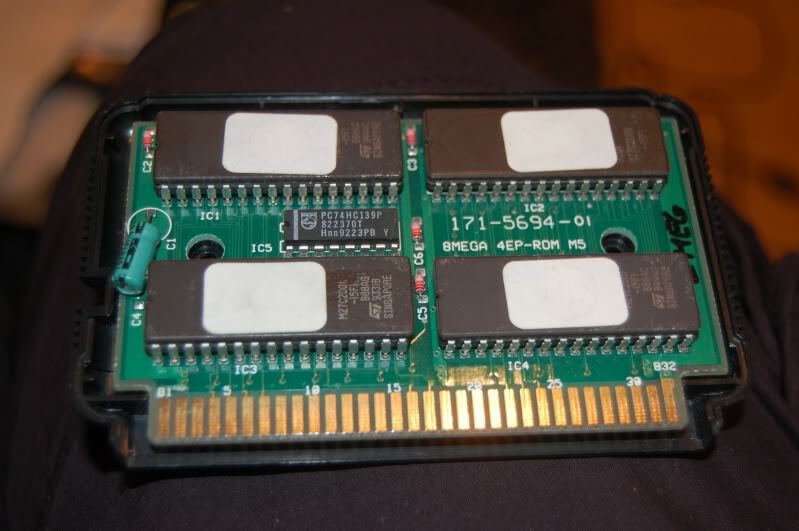 It should also be noted that in the same year Dan had his encounter with this ex-employee, the first ROM image of Sonic Crackers was released on a Belgian BBS by a group called Morgoth (link). Belgium? The same country as where my copy originated? Was there a connection? When my leads dried up, I decided to turn my attention to looking up information on the history of Knuckles’ Chaotix and how Sonic Crackers morphed into that game. Maybe this mysterious SEGA employee might have contributed to its development in some way? Beginning in the late 1980s, SEGA had a toll-free hotline, 1-800-USA-SEGA, for gamers to call in and receive tips and strategies. Players could also write to SEGA and ask for help, and the company would mail back free walkthroughs. 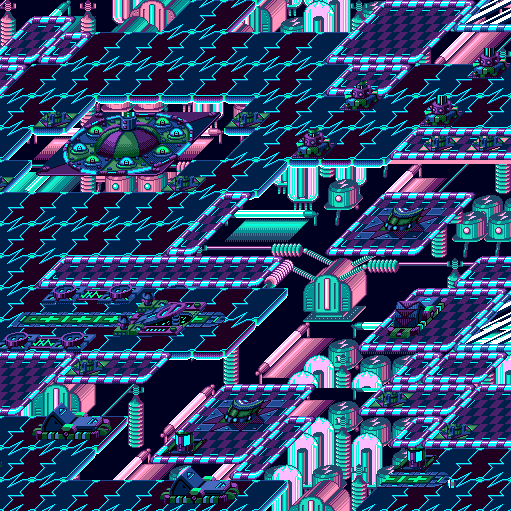 “You defeated Dr. Robotnik, but in the midst of the battle you forgot to destroy the Death Egg. What does this mean? Stay tuned for more Hedgehog Adventures. This cryptic message appears to be hinting at a new Sonic game for the 32X add-on called Sonic Chaotic. 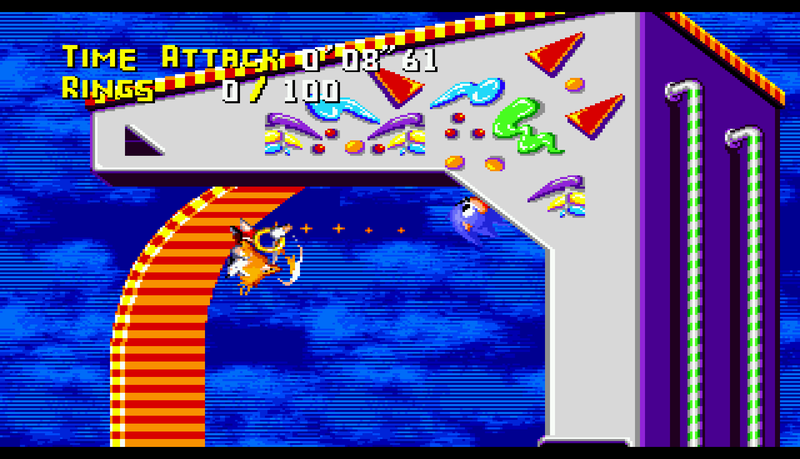 Could this have been the precursor to the 1995 game Knuckles’ Chaotix? 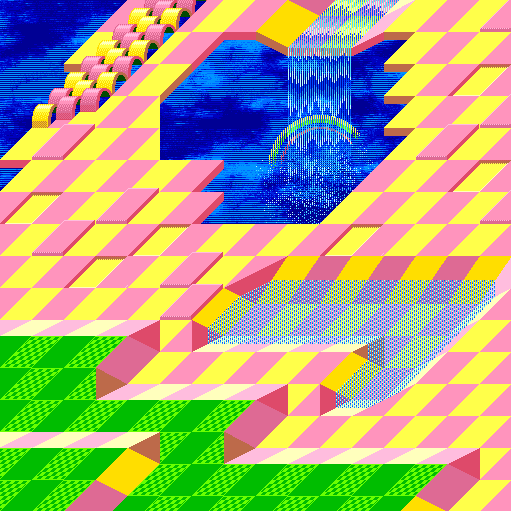 Sonic Crackers ROM header has a copyright date of July 1994, and an alternative title, “Sonic Studium,” while the title screen shows a build date of April 1, 1994. The document’s December 16, 1994 copyright would place this announcement five months after the July build date of Sonic Crackers, or eight months after the April date. Interestingly enough, a beta of Knuckles’ Chaotix, prototype 1207, with the build date of December 7, 1994, one week before the date on Dyer’s guide, was found to include hidden text that spells out “Sonic Crackers S32X” in the Genesis VDP viewer. 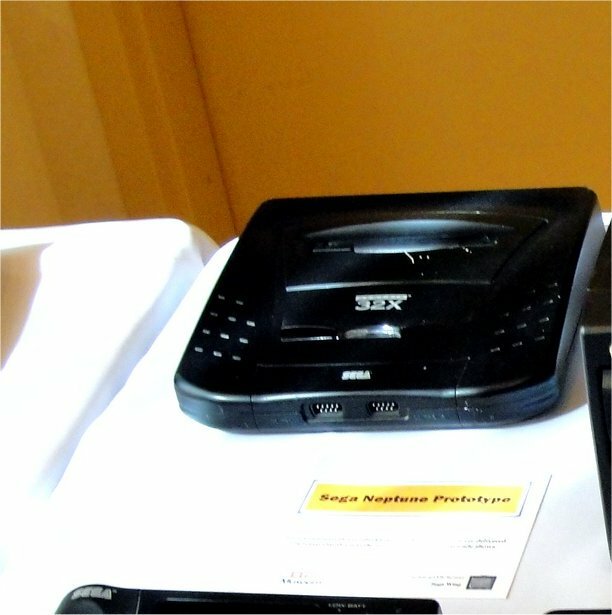 “S32X” refers to Super 32X, the official name of the SEGA 32X add-on in Japan. 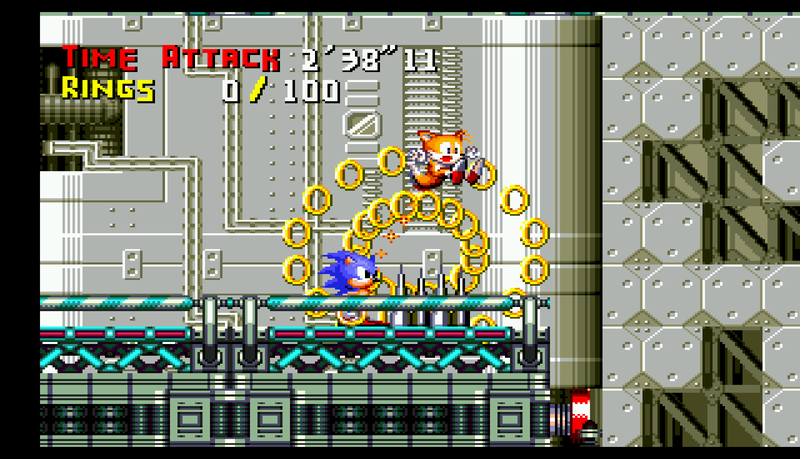 Dyer, then, had knowledge of an early Knuckles’ Chaotix when it was still a true Sonic game instead of a spin-off title. Dyer stayed with the company to the end of that game’s development, after the change from Sonic to Knuckles, as is evidenced by his name appearing under the “Special Thanks” in Knuckles’ Chaotix‘s credits (link). 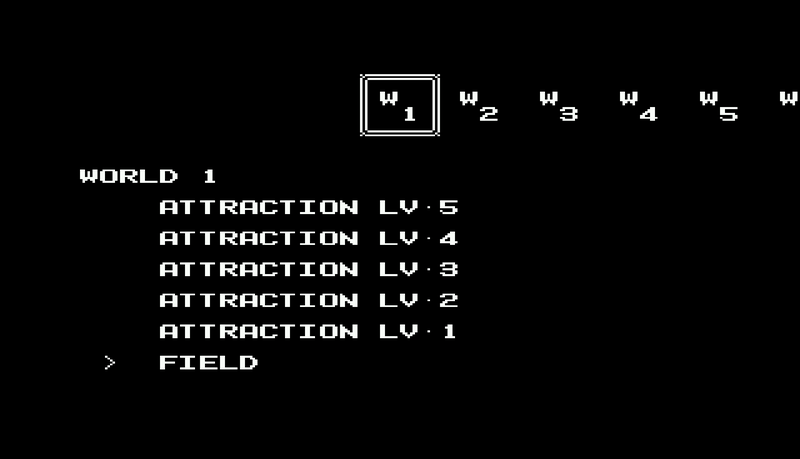 Upon further investigation, I found out that Dyer also worked in the marketing department at SEGA and contributed screenshots and media to first-party games published from 1993 to 1996 (link). A quick search led me to Dyer’s personal website, Clint’s Handheld Web Page. According to Dyer’s “My Story” page, he was born on the East Coast in Lancaster, Pennsylvania and lived there until his parents moved to California when he turned three. In 1989, he joined SEGA of America in the San Francisco Bay Area and worked in the Consumer Service Department. His “re-entrance into classic game collecting and playing” started in 1992 when his relatives on the East Coast sent several Atari 2600 games to him (link). Did I finally find my guy? I asked Dan if Dyer’s name rang a bell. 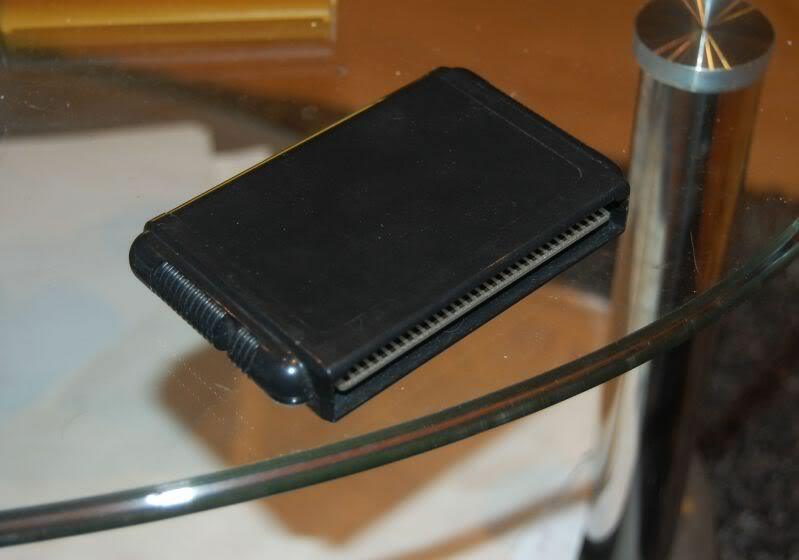 According to a prototype collector named Adam Harvey, Dyer had a history of picking from the trash while working at SEGA. He found and later sold SEGA handheld system mock-ups and a mock-up of the SEGA Neptune, which could be seen at the 2011 E3 convention. He also sold many SEGA Master System and SEGA Genesis prototypes. Respected prototype dealer Jason Wilson even claimed that Dyer had sold “a few” Sonic Crackers in the past. I tried contacting Dyer for confirmation, but all of my e-mails bounced. The last update on his handheld site came in 2000. He sold his collection and has not been heard from since. Dyer might, indeed, have been the original source of Sonic Crackers, or at least one of the original sources. Everything points back to him. And all it took was a travel around the world from Belgium to Ireland to Alabama to Michigan to New Jersey to San Francisco. Now the reason for there being so many copies of Sonic Crackers is still up for debate and speculation. 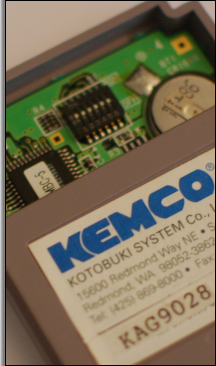 The most prevalent theory is that Dyer, or someone else with access to several SEGA development boards, copied the same ROM image to these items and walked away with them. Dyer mentioned on his site that after SEGA laid him off, he found a new job, and then was laid off again. In his own words, “I am currently not working, selling some stuff on eBay, just to get by. I think I was sick and tired of getting laid off from jobs, so I just stopped trying” (link). Could he have duplicated Crackers in order to supplement his income? I have no way of knowing if this is true or not because I could not get in touch with Dyer to hear his side of the story, although, realistically, I cannot imagine anyone fessing up to such a crime outside of a court hearing. This remains an allegation at best. However, keep in mind what Rob and Dan said. Sonic Crackers was included as a bonus, as an afterthought, because Atari was the hot thing to collect at the time. Would it have made much financial sense to try to profit from a Genesis game when there did not appear to be much of a market back then for “newer” console prototypes? If not for profit, why, then, was Sonic Crackers copied to several development boards? What reason would there have been to bootleg a Sonic prototype game when Atari was all the rage? Many questions remain. The mystery lives on. We may never get the full story behind Sonic Crackers, but at least we know someone who might hold the answers. UPDATE: In December 2012, Robert S., last name publicly withheld out of privacy concerns, contacted me to fill in some of the blanks about Clint Dyer and how the Sonic Crackers prototypes came to be. “I knew Clint in the ’90s,” Robert S. told me. When asked how close his relationship was with Dyer, Robert S. said that they had never met in person but were friendly online. Clint Dyer went by the handles “SegaMan” and “_MrDo_” on #rgvc, where he was a former regular near the beginning of the channel (link). According to Robert S., Dyer had connections with someone who worked in third-party duplication at SEGA of America. Unfortunately, the identity of this individual at SEGA is unknown. Robert S. also engaged in some business with Dyer back in 1996 or 1997 when he traded a Vectrex 3D imager box for five Genesis and three SEGA CD prototypes, Nightmare Circus (“final game, large eight EPROM board with battery backup”), Pengo (“incomplete, large eight EPROM board with battery backup”), Might and Magic III (“late development, large eight EPROM board with battery backup”), Worms (“unreleased NTSC version, small four EPROM board”), and Total Carnage (“one level demo with no sound, small four EPROM board”). Robert S. later wound up with seven more prototypes from another friend of Dyer’s named Mike Garber, Iron Hammer and Nuclear Rush (“two games from the aborted Sega VR Helmet project”), Nightmare Circus, Pengo, Might and Magic III, Worms NTS, and a non-working title labelled “Baby” (which most likely contained Baby’s Day Out). 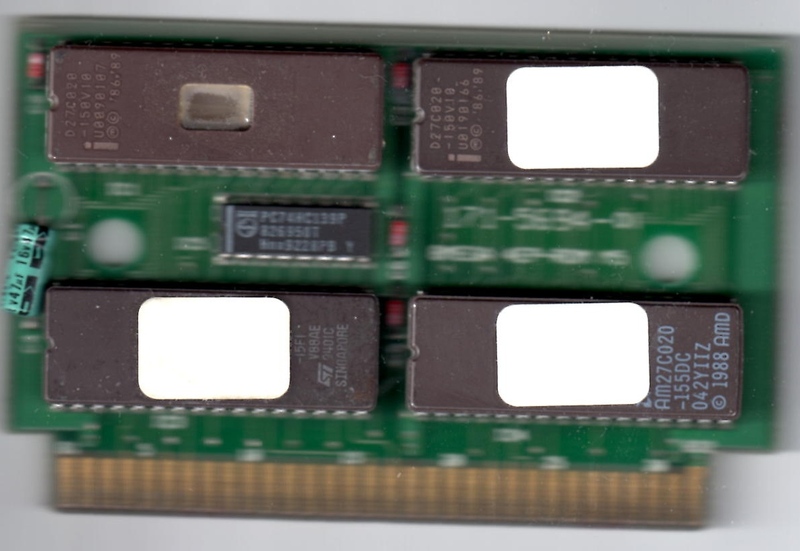 He claimed that the disks containing the binary library, which Dyer had access to, were the same as the ones that surfaced online from a Polish prototype preservationist by the name of Luke “drx” Zapart. When asked how he came up with those numbers, Robert S. said that Dyer had typically kept him up to speed about his current inventory. Robert S. said that the prototypes he did acquire from Dyer were uniform in appearance. When asked if he might know roughly how many prototype boards Dyer removed from SEGA to get an idea of the scale of this operation, Robert S. was uncertain. Like everyone else I talked to, Robert S. has not heard from Dyer in several years. Robert S. has a couple of theories of his own on why Dyer has done a disappearing act. He closed the conversation with a warning to any prospective Sonic Crackers buyers.